Ahoy there! 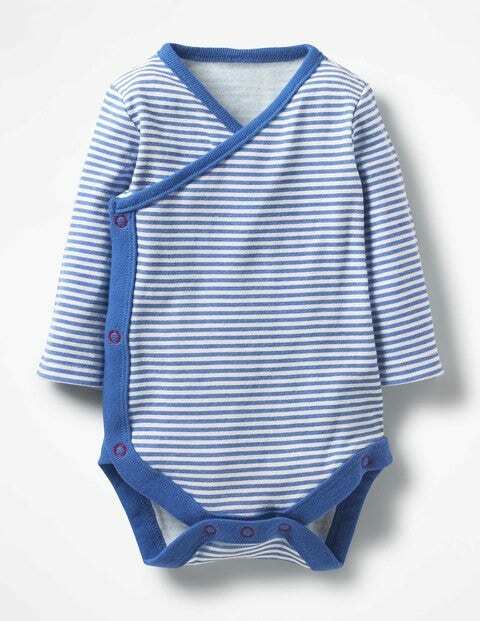 Little ones will feel positively nautical (but hopefully not naughty) in our stripy wraparound bodysuit. It's crafted from 100% organically grown cotton, so baby is surrounded by softness. Contrasting poppers to the gusset and side – along with a handy concealed button – make unwrapping and rewrapping your little sailor a breeze.